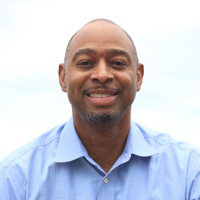 The Green Sports Alliance announced Roger McClendon as the new Executive Director for the organization. McClendon will lead the premier alliance of international sports and stadium executives, as well as sustainability experts, to use sports as a vehicle to promote healthy, sustainable communities throughout the world. McClendon’s hire is part of a broader infusion of new executive and board leadership announced. Due to McClendon’s efforts, Yum! was named to the Dow Jones Sustainability Index in 2017 and 2018, as well as one of the 100 Best Corporate Citizens by Corporate Responsibility Magazine. Yum! Brands was also part of the inaugural class of the U.S. Food Loss and Waste 2030 Champions, U.S. businesses and organizations pledging concrete steps to reduce food loss and waste in their operations 50 percent by 2030. Prior to Yum! McClendon worked with Champion Paper, now International Paper, to automate and improve operational and manufacturing efficiencies that included water treatment, power generation, and production systems. McClendon studied computer and electrical engineering at the University of Cincinnati while also becoming the school’s number two scorer all-time, second only to National Basketball Association Hall of Famer Oscar Robertson. McClendon will make his first appearance as Executive Director on Thursday, January 17 at the Green Sports Alliance’s Sports & Sustainability Symposium at Arizona State University in Tempe, AZ. McClendon is expected to embark on an initial listening tour with Alliance members and partners shortly thereafter.